Before giving flowers or scattering rose petals on Valentine's Day, make sure your significant other has already gotten out of bed. In a study published recently in the journal Chemical Senses, researchers at the Montreal Neurological Institute at McGill University discovered that sensitivity to rose odour is greater in subjects that are sitting than in those lying down. This research, conducted in the laboratory of Dr. Marilyn Jones-Gotman at the MNI, adds to previous studies indicating that lying down negatively affects other senses, such as hearing and spatial perception. "This was an important finding for us, as many of our studies involve test subjects lying in an imaging machine such as MRI or PET (positron emission tomography) scanners. If perceptual ratings differ depending on whether the subject is outside a scanner (and sitting up) or inside a scanner (and lying down), then reliable 'threshold measures' or points of comparison will be difficult to obtain." Test subjects were exposed to sixteen different concentrations of rose odour while they were sitting upright or lying down. 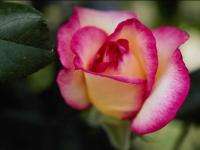 The majority (63.9%) of participants were found to have a decreased sensitivity to the rose odour when lying down. "There is a clear difference in olfactory sensitivity depending on the body position of the subjects," explained Dr. Johan Lundstrom, a postdoctoral fellow with Dr. Jones-Gotman, "Right now, we can only speculate as to the biological necessity of this difference. For example, is a lowered sensitivity to smell when lying down part of an overall sleep preparedness mechanism? Or perhaps the reason is only secondary to an increase of body fluid circulating throughout the brain? It could also be that we are simply not able to 'sniff' as deeply when in a supine position. Whatever the reason, we must now take this difference into account when planning future studies."